January 10th 2017: Atmos and Jordan Brand will be collaborating on a special pack consisting of an Air Jordan 3 and Air Max 1 for Air Max Day. The Air Max 1 x Atmos was voted number one for Air Max Day last year, which led to a re-release that will be happening on Air Max Day 2017. 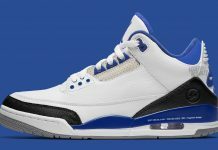 Alongside the re-release, will be an Air Jordan 3 themed with the same colorway as the Air Max 1. Expect these to release on Air Max Day this year as a pack at Tier Zero accounts. Stay tuned with Modern Notoriety for news on the upcoming Atmos x Nike Air Max 1 pack. 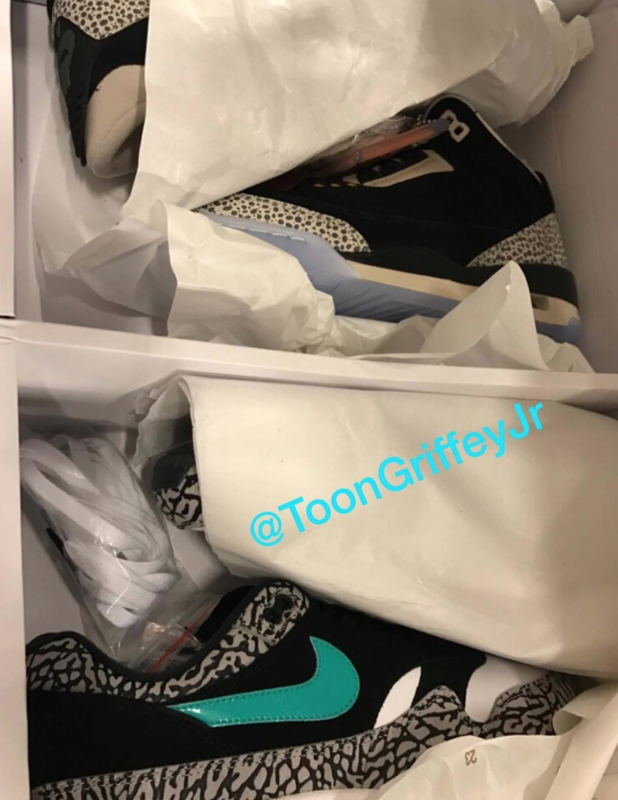 Update March 4th, 2017: Here’s a look at the upcoming Air Jordan 3 x Atmos Pack that consists of both pairs. 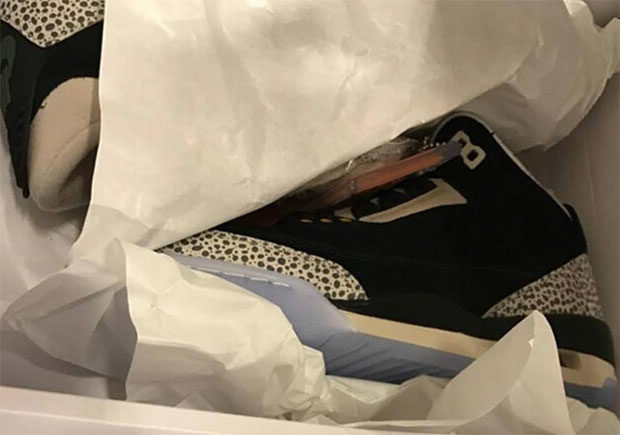 The Air Jordan 3 will be featuring a Safari Print instead of the cement, while the Atmos Air Max 1 stay true to it’s original Cement print materials. 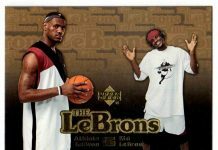 Let us know what you think about these in the comments section.